Hello, how are you? I have been an Apple user all my life but was recently gifted a Samsung for my birthday and I am still not so familiar on how to use it? Perhaps you can help me? How to Save Photos from iPhone to Computer? How to Extract Photos from iPhone Backup? Let’s face it, we are all guilty of taking thousands of photos. We live in a day and age where we practically document everything we experience. Whether it be a meal we are about to feast on, a journey we are embarking on, a moment with family or friends, a night out celebrating an occasion, picturesque views of places we go to and we even photograph moments of sadness and solitude. Many of these photos are shared on social media, while others are passed around through email threads, whereas others are meant to be saved for your library and possibly used in the future. Our desire to photograph our life experiences has also changed the way technology has developed. Mobile phone cameras have come a very long way and are now able to shoot in high definition, we even have applications that allow us to play with our pictures and create cartoons straight from our mobile devices. We are in fact so obsessed with taking pictures that some mobile phones actually come with 3 built-in cameras, whereas a majority of mobile devices have at least 2 cameras. However, with all these photos and videos on our devices, and the absence of perfection in the digital world, we remain at risk of losing this data. Sometimes, we are creating space on our devices and choose to select multiple videos and photos and then accidentally erase something we didn’t mean to. It could also happen that a system malfunction could cause some of the data on our phones to be damaged or deleted. It is for these reasons that there is a need to back up our photos onto hard drives or the cloud, so that if in case we become victims of lost data, that we will still be able to get those photos back! Samsung phones run using the Android operating system, whereas Apple products us the Mac operating system. Considering that these are two different systems, they are not able to sync and operate as simply as it is to merely plug the devices to each other. As an android user, I’m sure you know that communication between your android phone and you’re PC is seamless, much like the communication between your iPhone and your MacBook Pro. But when attaching an android phone to a Mac OS, it is not quite as simple. Or conversely, when attaching an iPhone to a PC, again, not as simple. But definitely doable, in both cases! In this article, we’ll discuss the processes in which one can transfer photos from a Samsung device into your Mac in order to back up your photos and videos. We will go through the Samsung S9, S9 Plus, as well as the S8, S7, S6, Note 8, Note 7, Note 6, and Note 5. 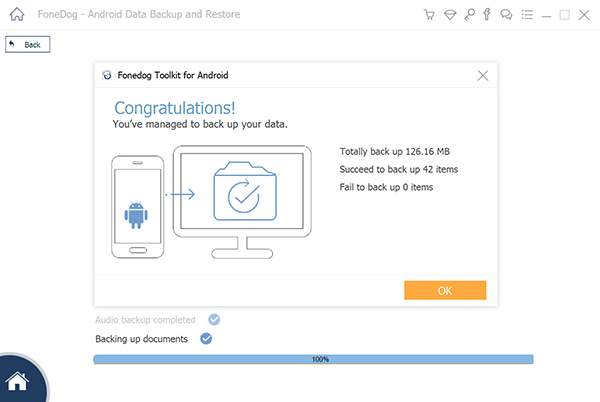 FoneDog is an Andriod data backup system and restoration tool that can easily help you get your photos from your Android device on to your Mac. It is easy to use, reliable, said to be one of the more effective tools, and most importantly, secure. They are also known to be the best recovery software and have the capabilities of restoring photos, videos, contacts, and other files at the quickest speed. FoneDog will also allow you to enter a 30 day free trial period after which you can opt out if you are not satisfied with their service. Their preview function is brilliant and will show you that you can select only those of which you want to back up. They work in a way wherein your data will not be overwritten and assure you that it is only you who will ever see the data unless of course, you choose to share it with others. Their functionality is quite simple as well. Have a look below at the easy steps that one would take in order to back up their photos from their Samsung device to their Mac. Step #1 - Launch FoneDog Toolkit on your Mac. FoneDog has a toolkit that first needs to be downloaded from the app store. Once you have it downloaded, open it and be sure that you do not have other backup or restoration applications running at the same time. Step #2 - Connect Your Android Device to your Mac. You’ve probably done this before. Use a USB cable to connect your Samsung or any other Android device to your Mac. 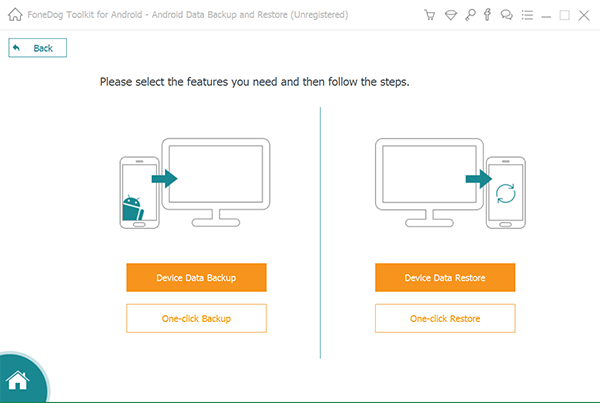 Once connected, simply select “Android Data Back Up and Restore” and be sure that you have enabled USB debugging on your Android device. 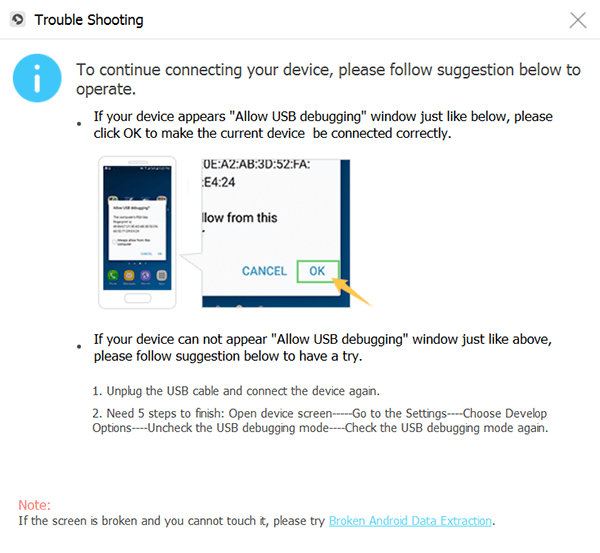 If in case you are using an Android version 4.0 or higher, you will see a pop-up window on your phone that will ask you if it is okay to allow the USB Debugging. Click “Ok”. After having connected your android phone to your Mac, FoneDog will detect that a device has been connected and will offer you a button to select, when you see this, click on the “Device Data Backup” button. The FoneDog Toolkit will then scan your unit to see the different file types however, you can also do this manually and select only the data that you wish to backup. 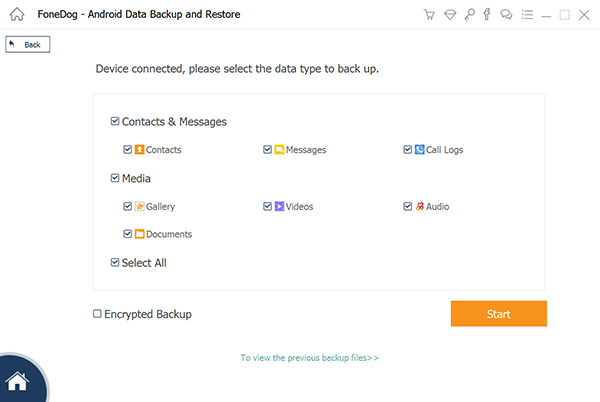 Once you have completed the process of selecting your backup option file type, click on the “Start” button at the bottom of the page to begin the process of backing up the data. Please be patient here as this may take a few minutes. It is also very important to keep in mind not to disconnect your Android device as well as not to use it nor delete any of its contents as this may disrupt the process. A prompt will then appear to inform you that the backup has been processed and is now complete. From here, kindly click the “OK” button. When done, you will be able to view the content of each file that has been backed up. 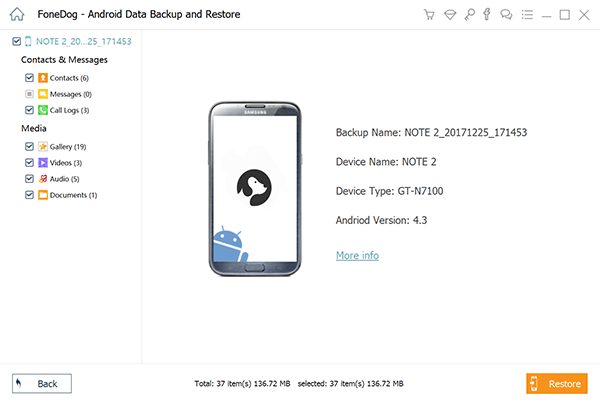 At this point, you may also start to restore your previous backed-up files to your Samsung device. Should you choose to begin the process of restoring any of your files, you would now need to click on the “Device Data Restore” button. The software will offer you a display of files from your most recent backup. Simply click on the files you wish to restore and you can also select other backed up files shown on the software. 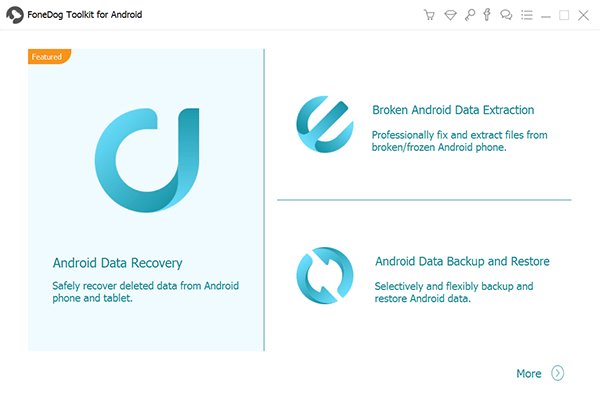 At this point, you would need to select the type of data that you wish restored onto your device. Found on the left side of your screen, you will be able to see the files that you can choose from and simply click on the “Restore” button to begin its process. A prompt will appear once again asking for your authorization of the restoration process. Click “Ok” when you are ready. Once again, this process may take a few minutes and as like before, please allow a few minutes for this process to take place and again, do not disconnect your Samsung from your Mac nor open other android phone management software. When this process has been completed, FoneDog Toolkit will inform you through a notification. We used FoneDog as one of the brilliant examples of how one is able to transfer photos from your Samsung device to a Mac, but there are other ways as well and we would like to show you those options if in case FoneDog does not seem to be the solution that you are looking for. Android Assistant. This program was designed to be user-friendly and is meant to be very simple in terms of transferring data from your android device to your Mac. They have a single click feature that quickly and conveniently allows you to navigate in order to place in your commands. Not only does Android Assistant allow you to transfer your photos, but it will also back up your contacts, SMS messages, pictures, videos, music, applications and more. Android Assistant will also let you do this with a PC. Mobile Transfer. 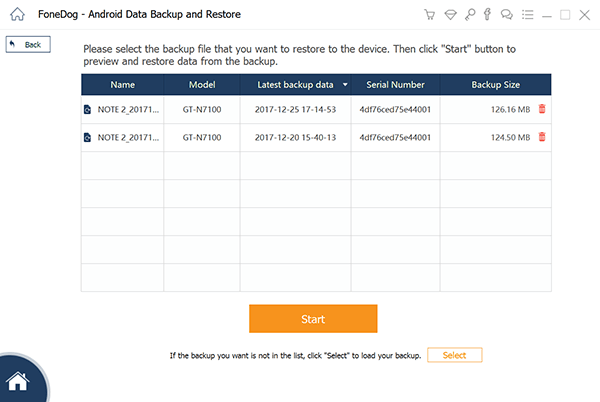 This is another program that again will allow you to backup everything on your Samsung whether it be contact information, videos, photos, music, SMS messages, applications, etc. and these work with Samsung models Galaxy S9, S9 Plus, S8, S7, S6, and Galaxy Notes 8, 7, 6, 5, and 4. They too can make the transfers regardless of whether you are using a PC or a Mac. Mobile Transfer also enables you to transfer data between two Android devices, whether the combination is an iOs and an Android or another. Android File Transfer. Should your above options not suit you when transferring your photos from your Samsung to your Mac, you can try the Android File Transfer. This program will allow you to do so for models Samsung Galaxy S9, S9 Plus, S8, S7, S6, and S5. The Android File Transfer program will also let you accomplish the transfers with ease. In the end, as consumers, what we need is a reliable source. A program that will allow us to transfer our photos, and other files, from our devices on to our computers. Having gone through a few options and seen some of their pros and cons, it is simply best to explore each of them in order to really find what suits you the best. One thing we know for sure is that our files are valuable pieces of information to us all and we need to ensure that nothing will happen to them so that we can continue to enjoy these bits of memories that we have captured with our devices.